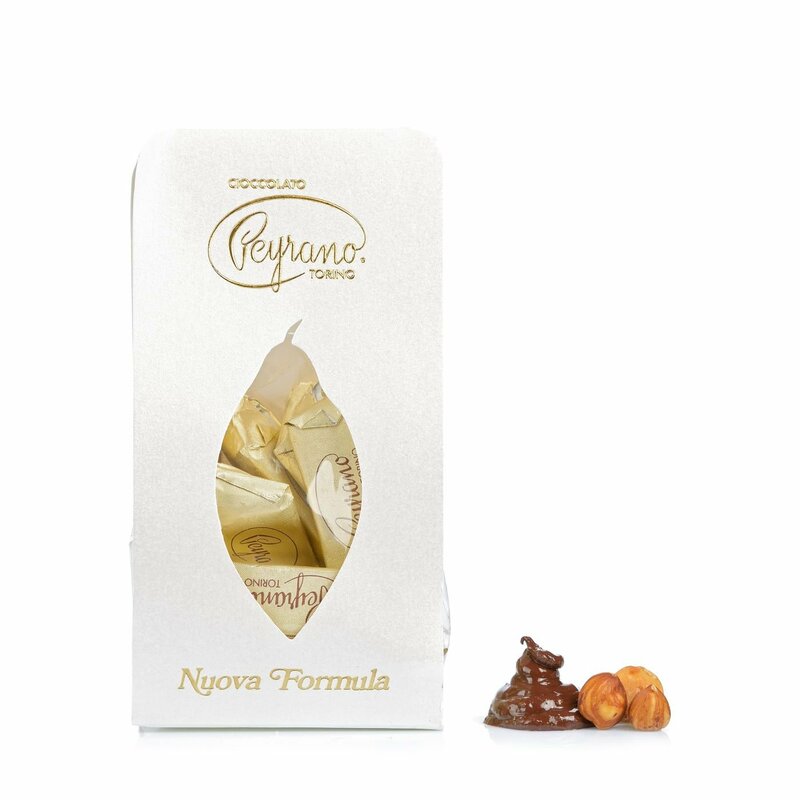 Nuova Formula Giandujotti by Peyrano are made to a modern recipe involving the addition of milk among the ingredients for an even softer and smoother texture. On the palate the distinctive and delicate flavour of Piedmont IGP hazelnutsmeets the sweetness of the milk and decisive cocoa notes for an explosion of flavour. The resulting sensation is extremely well-rounded and full-bodied. Perfect for a momentary indulgent break, the exquisite taste with its distinctive harmony and body makes these confections the perfect gift for all ages. Ingredients sugar, Piedmont hazelnuts IGP 28%, cocoa, cocoa butter, milk powder, emulsifier: (soya) lecithin, Bourbon vanilla pods. May contain traces of nuts. For more information on product labels, please contact our Customer Service department. The information on the labels of the products may vary for reasons beyond our control, therefore, there may be discrepancies between the information on the site and that on the products delivered. Please always check the information on the product before consumption or use.